Max Brooks opened the readers eyes to zombie survival by introducing readers to a survival guide for the zombie apocalypse, and then he awed readers with World War Z, a book about how the world fairs when zombies do arise. And now, in the summer of 2013, it has made its way to the silver screen, to shock and awe audiences with zombies, the likes of which they have never seen before. 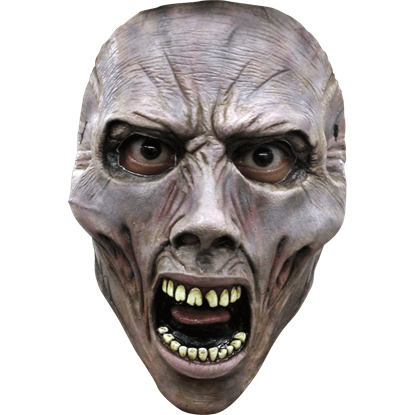 We are happy to offer a selection of licensed costumes and masks that will allow you to become those zombies, as well! The picture painted by World War Z is a bleak one, one where modern tactics and strong weapons fail to stem the flow of an ever-growing zombie pandemic. The zombies themselves are terrifying enough, possessing a potent mix of feral and wild rage, along with undead stamina and detailing, all of which can be seen in these masks and costumes. The masks themselves are quite striking to see, as well as terrifying to behold, and are more than enough to send human survivors screaming into the night, should a wearer be encountered in a dark corridor or a blackened, abandoned road. Each and every item in this category is licensed to the film, and many are recreations of characters and zombies that are seen within, allowing you to create both the living survivors and the undead monsters to your hearts content. For pure zombie terror and detail, not much can compete with these WWZ masks and costumes, making this section the place to be when you want to let your inner zombie run wild or for those moments when you want to feel like a survivor of a real zombie apocalypse. 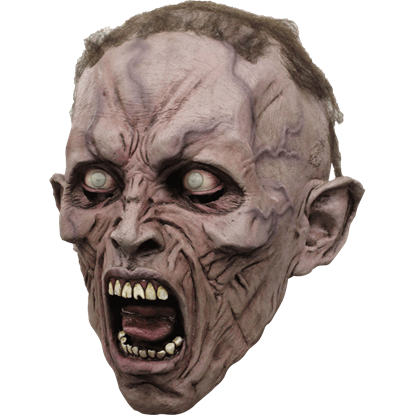 Emaciated and just a little bit decrepit, this Deluxe WWZ Roaring Zombie Mask retains its scary look even though it looks like a zombie that has been around a while. But then again, perhaps experience is why this zombie is so terrifying. 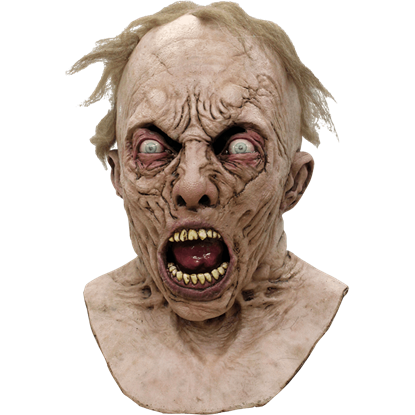 This Deluxe WWZ Screaming Zombie Mask is not your average zombie mask. For one, it depicts a zombie-monster fueled by powerful feelings of hunger and wild rage, which drive it to shriek and sprint and charge. When you meet someone wearing this mask, you get wide-eyed horror staring you in the face. 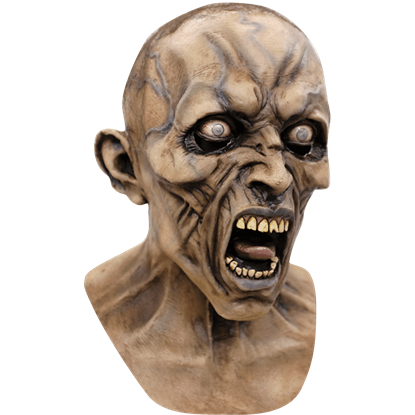 This Deluxe WWZ Zombified Paramedic Mask recreates the look of a zombie from the film, allowing you to transform into an undead EMT. This mask comes complete with a costume idea. Imagine it, a scientist, brought in to study a plague, whose careless nature causes him to become what he studies? 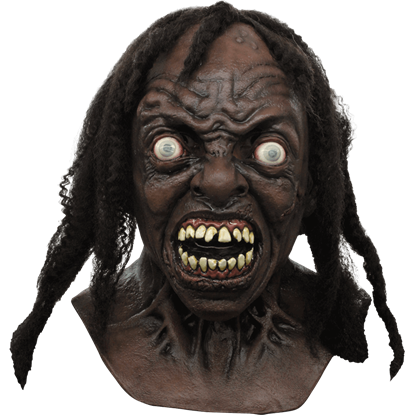 You need only a lab coat to go with this Deluxe WWZ Zombified Scientist Mask! At the onset of the zombie apocalypse, the undead often look like normal people. As time wears on, the differences become more apparent. 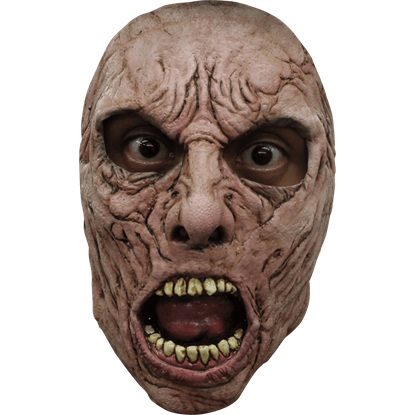 This Roaring Zombie WWZ Face Mask is a middle-ground, with little decay but definite undead style. Sometimes, zombies can seem rather docile, especially when there is no human meat wandering around. This Screaming Zombie WWZ Face Mask, though, reveals how aggressive and feral a zombie can become when food approaches. 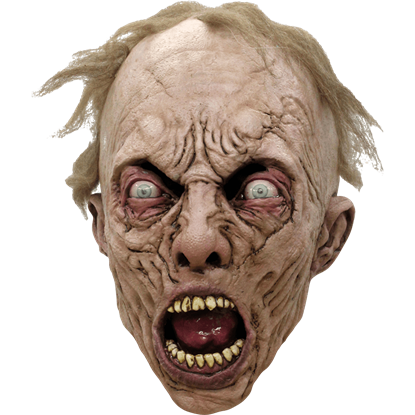 This WWZ Roaring Zombie Mask looks like one undead customer who has seen some rough times. With sunken cheeks and pale features, it seems this zombie has not fed in a long time, while the feral expression further supports this notion. 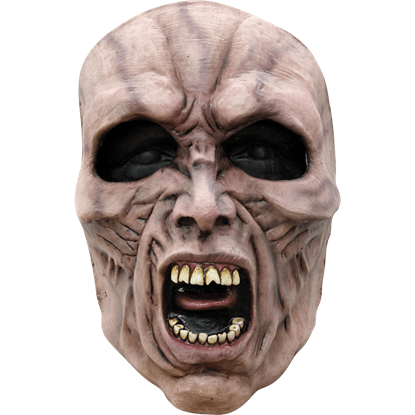 Named for the zombie it resembles, this WWZ Scientist Zombie Mask is a wild and hungry looking undead disguise that will allow any human to become something less - something terrifying, which feels no pain and feeds on human flesh. If you are looking to step up your zombie look, a full mask is just the way to go. 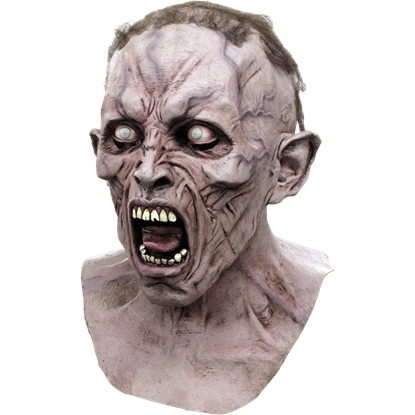 This WWZ Screaming Zombie Mask offers total coverage, ensuring that from any angle, you look more like a flesh-hungry undead, rather than a human. Scientists will be among the first to change if a zombie apocalypse occurs. Why? Because they will study its effects and inevitably risk infection themselves. 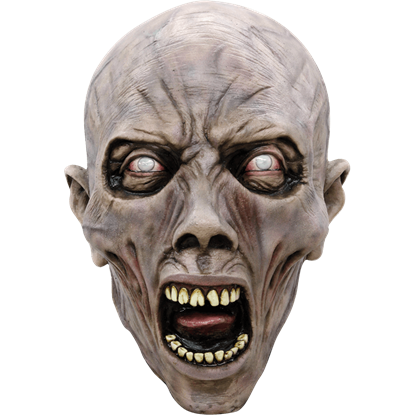 This Zombie Scientist WWZ Face Mask offers a twist on the traditional zombie.